"They are blocking Satanists' right to freedom of religion by preventing them from using the name Satan," Beau Guthery, the petition writer, argues. 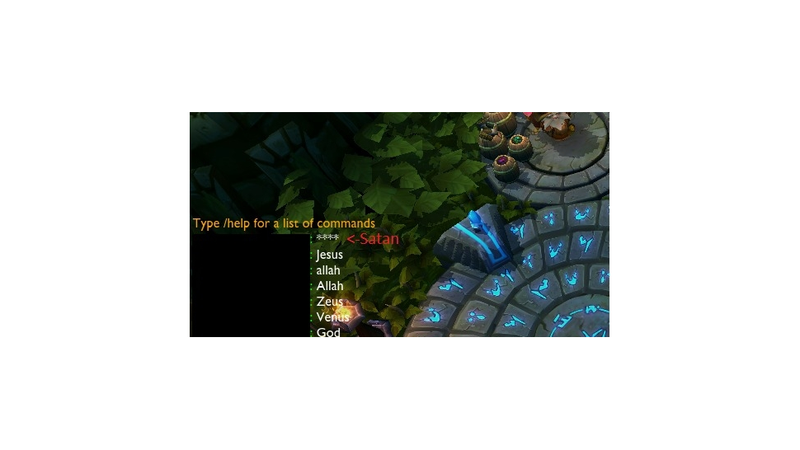 Please unfilter the word "Satan" from the game "League Of Legends." Let Satanists and others who would like to freely use that name be given that ability. We who sign this petition just want to be treated equally. Your own forum mods and employees say that you listen to the community of game players. Here we are, asking for you to make a small change in the game that would respond to our wishes and give us equality with players who already can select the god of their choice. The petition creator claims that a thread was made on the subject on Riot forums, where they were told to kill themselves and to burn in hell, on top of being banned for asking about the filter. We've reached out to Riot Games about the matter and will update this post if we hear back. For now, the petition can be found here.